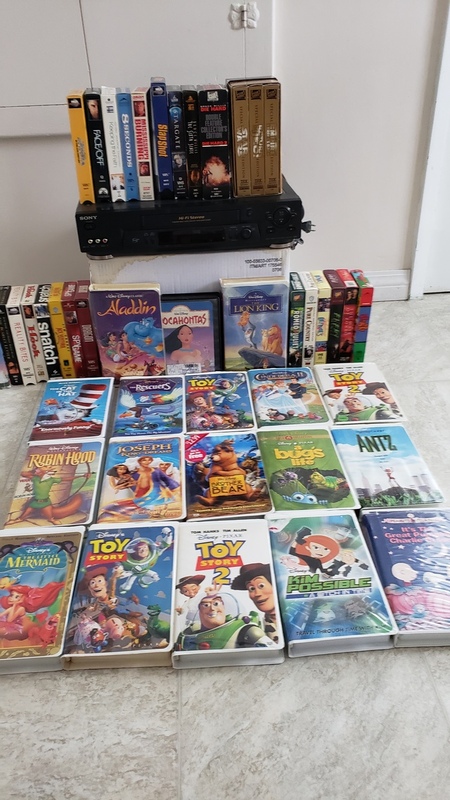 lots of Disney tapes, Star Wars trilogy, to name a few. about 38 tapes in total. VCR works great. Good for a family or resale on Amazon.